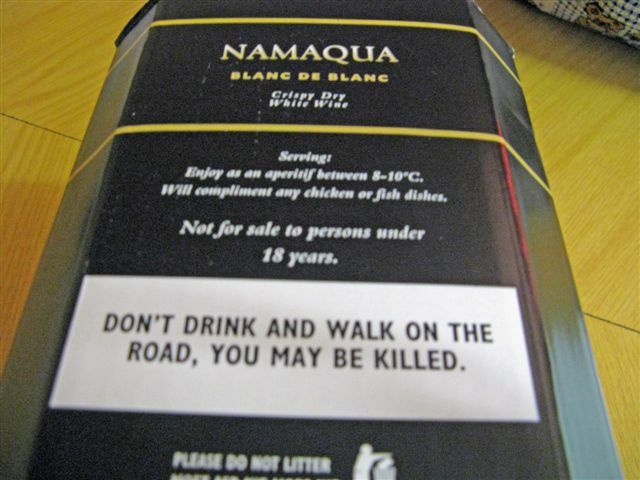 The South African alcohol awareness peeps are getting a little over protective. In fact, more protective than the UK peeps for a change. So, if you're going to drink, remember NO walking on the road. By all means, hop, skip, jump, run or even DRIVE, but just don't walk - you might be killed.